Oklahoma is home to a wide variety of colorful butterflies. The black swallowtail (Papilio polyxenesis) is a migratory butterfly species indigenous to Oklahoma from May to October. 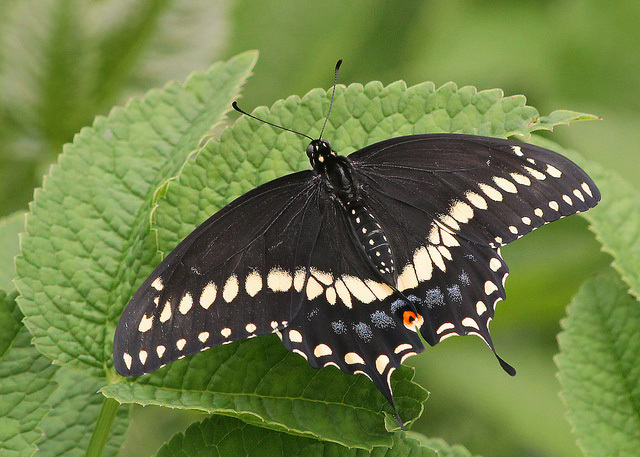 Quote from Oklahoma legislation: "The black swallowtail butterfly plays a vital role in the cross-pollination of plant life in Oklahoma, which is a necessary link in the chain which supports our ecology. In addition, the presence of the black swallowtail in Oklahoma not only adds color and beauty to our state but provides enjoyment for our citizens and an opportunity to study and understand the contributions this insect makes to our environment." 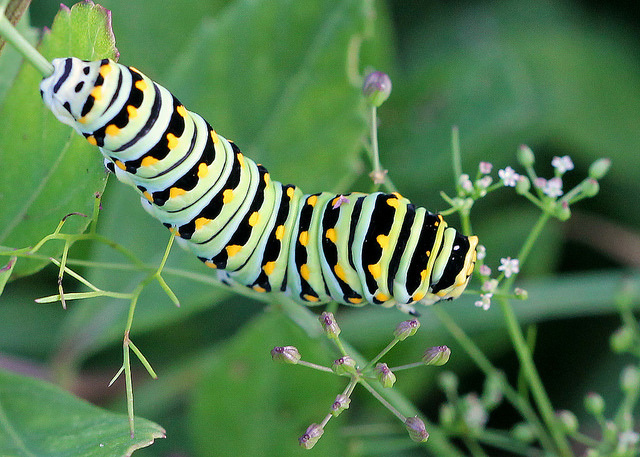 Black swallowtail caterpillar (Papilio polyxenes); photo by Mary Keim on Flickr (noncommercial use permitted with attribution / share alike).